sambar with nenthrangai is different! Never heard of nenthrangai in sambar either sounds interesting ! This is completely new recipe to me. Looks gr8. Yes, its a new recipe for me too. I make sambar differently. Check out my site too. Lovely blog! 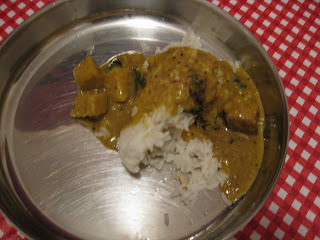 sambar with nenthrangai is different!Looks gr8 vidhya.